Here at SmileTown Dentistry in North Delta, we often get questions from curious parents about early dental care for their kids. What are the long-term benefits? Given the temporary nature of primary (baby) teeth, parents often wonder if it’s something they really need to worry much about. Aren't primary teeth just going to fall out, anyway? Another thing is, some kids don’t have a particularly favourable reaction to going to the dentist. Some feel anxious or scared. Others get annoyed, bored, or just plain uncomfortable. Why put them through it? As a matter of fact, early dental treatment can have a huge impact on the long-term oral health of your children. If you're wondering why that is, read on! Primary teeth typically last between the ages of 6 and 13. They play a very important part in your child’s oral health, both while they’re there, and long after they’ve been replaced by permanent teeth, too. Healthy, strong primary teeth make it possible for children to chew their food properly, and to properly digest all the foods they need to stay healthy as they grow. Primary teeth also create space in the mouth for the permanent (adult) teeth. In a sense, they function as a guide for the adult teeth as they emerge. If, due to decay, a child loses his or her primary teeth early, the permanent teeth may not have the space necessary to grow in as they should. Crowded or misaligned teeth, or a variety of different bite issues, are often the result. These issues make eating and speaking more difficult, and they can also make teeth harder to clean sufficiently, which can result in further decay. Begin taking care of primary teeth as soon as they erupt to help prevent cavities, and the need for expensive and uncomfortable orthodontic appliances when your child is older. Apart from the more obvious health benefits, early dental can helps ensure that your kids will continue to visit the dentist on a regular basis as they grow up. Regular dental appointments starting at an early age give children ample opportunity to get used to the process. This will help them feel less anxiety about their oral care, and will keep their teeth healthier, too. As your children mature into teens, and then adults, they’ll learn view visiting the dentist as a positive experience. After all, adults who have had consistent, positive dental care as children are far more likely to continue that habit throughout life. 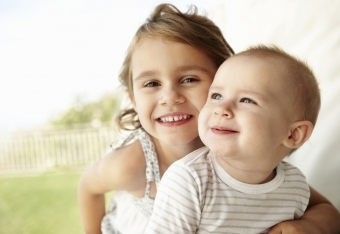 Early dental care is beneficial to you children in many ways. By bringing your child to a North Delta children's dentist as soon as his or her primary teeth emerge, you’ll be setting them on the path to life-long oral health!